Microsoft, the world’s biggest company in terms of market value–$458 billion in November–and the dominant player in the global computer industry, was taken behind the judicial woodshed last week and severely reprimanded. U.S. District Judge Thomas Penfield Jackson determined that the software giant was a predatory monopoly, a preliminary ruling that represents the first step toward a final judgment in the U.S. Justice Department’s antitrust case against Microsoft. 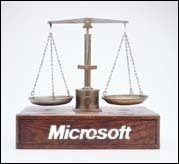 The judge could decide next year that Microsoft violated antitrust law and, in turn, impose any number of remedies. The Redmond, Wash.-based company now must decide whether to continue to battle the government in court or to try to reach a settlement. Knowledge@Wharton asked three Wharton faculty members to comment on the case and its possible implications: management professor Steve Kobrin, marketing professor David Schmittlein, and public policy/management professor Dennis Yao, a former commissioner with the Federal Trade Commission. Knowledge@Wharton: Did Judge Jackson make the right decision in finding that Microsoft is a monopoly? Schmittlein: I don’t think there’s much doubt that Microsoft had monopoly power to use. If using monopoly power by definition means abusing monopoly power, then I think one would have to agree with the judge’s decision. Kobrin: I think the answer is an unqualified yes, based on my role as a user of Microsoft software and an observer of Microsoft’s battle with Netscape and based on testimony during the trial. It appears their market power did limit competition and stifle innovation. It also seems to me that Microsoft products themselves are not the most innovative in the world. Word [the word-processing software] works well, but there haven’t been meaningful innovations in quite a while. Schmittlein: One of the elements that still seems to pose a bit of a challenge here is the issue of whether harm was done to consumers. Much of the trial testimony about abuse of monopoly power seemed specifically directed to the use of that power toward existing or potential competitors, rather than the use of that power more directly toward consumers to extract what economists call an economic surplus. The connection, then, to consumer harm is determined by the relative weakness of competitors, the presumed impact of that weakness on the number of choices consumers have available, and the prices that consumers will pay going forward. Knowledge@Wharton: What impact will the judge’s findings have on Microsoft? Schmittlein: I would continue to hold the stock, although this statement should not be construed as investment advice! The Microsoft case reminds me of a piece of history. The trustbusters who broke up Standard Oil fought hard against John D. Rockefeller. Rockefeller argued that Standard Oil should not be broken up. Yet in 1911 the federal government split it into 34 different entities. Shortly thereafter, however, the overall valuation for those entities increased substantially, in turn increasing Rockefeller’s personal wealth. What this says is that the market can often value the parts of a company to be greater than the whole. Some entities in Microsoft have to develop partnerships or offer products to organizations that they can’t work well with right now. However, they would be unfettered if the company was broken up. Most of what I’ve seen in the press so far has argued that any impact on Microsoft would be so long-term, given the potential for appeals, that it would be minimal. If Microsoft is broken up, the consequences might not be as dire as some people think. Kobrin: I don’t think we know quite yet. If Microsoft were to be broken up, then you have the question of into what? Would the browser [Internet Explorer], the operating system and the application software be set up as three separate companies? Then you have to ask whether the companies would thrive under those circumstances in terms of performance, innovation and meeting customer needs. Breaking up Microsoft could be a good thing but we just don’t know how it would shake out. Yao: The biggest question that remains is-assuming the judge will determine antitrust law has been violated–what kinds of sanctions or remedies will be imposed. Remedies in such a quickly-moving industry would be hard to come up with-balancing antitrust concerns with the need to promote innovation. That’s very hard to do. Those remedies would greatly affect how Microsoft and the rest of the industry react. The other thing to think about is whether Microsoft would reach a settlement that would preempt judge-imposed sanctions. There could be restrictions on the kind of conditions Microsoft can impose on companies that purchase its operating system, requirements about publishing operating system source code, or even divestiture. Knowledge@Wharton: How might the judge’s findings affect the computer industry as a whole? Yao: Various competitors have probably already changed their behavior as they’ve seen the case unfolding. Companies that negotiate with Microsoft might be able to do so on more favorable terms. I would suspect that the case has given advantages to Microsoft’s [corporate] customers. Microsoft may act less aggressively when they’re under scrutiny and when a case is going against them. Kobrin: I would ask this: How much of Microsoft’s success is due to the integration of the operating system, browser and application software, and how much is a function of monopoly power? Will synergies be lost if Microsoft is disassembled? If innovation [on the part of Microsoft’s competitors] has been stymied to some degree [by Microsoft’s business practices], the case will provide a benefit to the industry as a whole. Again, there hasn’t been the kind of innovation in application software that I certainly would like to see as a computer user. Schmittlein: It’s difficult to have a great deal of sympathy either for Microsoft or its competitors. It’s difficult to have much sympathy for Microsoft because there’s a sense that they’re not as pious as they portray themselves to be. And the company has been perceived to have a certain amount of arrogance. As far as competitors are concerned, their argument also seems hard to get behind. What we may be seeing in the judicial decision is that Microsoft stepped over a boundary. But we can’t forget that ours is an economy based on the benefits of competition and that sometimes means tough competition. Knowledge@Wharton: Can you put this case in a historical perspective? Could it turn out to be as far-reaching as, say, the breakup of Standard Oil? Schmittlein: I think it will continue to play a role in both antitrust law as well as in the popular imagination regardless of what the final outcome is - whether there’s a settlement or a judicial decision. If the case ends with a whimper rather than a bang that, too, will set a certain kind of precedent.